Local fibre broadband (internet) operator MyRepublic just confirmed that they have signed a contract with one of the big 3 main telcos – Singtel, StarHub and M1 (though which is yet to be revealed). This means that they are now on track to launch their own brand of Mobile services and it would be pretty interesting to see how this all plays out. For reference, TPG, which won the fourth telco license, is also planning to start offering services here in Singapore in early 2018 and get full Singapore network coverage by the end of next year as well. Unlike the 3 main (or soon to be 4) telco’s, MyRepublic mobile service’s will be operating on the same model as Circles.Life, which is operating as a Mobile Virtual Network Operator (MVNO). 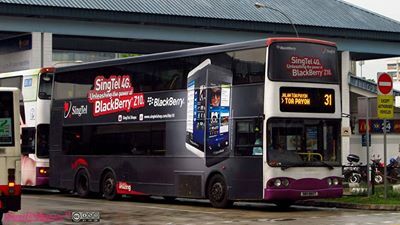 This means that they do not need to build nor own any of the physical systems or network that powers their services such as the cell towers, but rather, rely and rent such services and bandwidth from the owners, such as Singtel, M1 and Starhub. MyRepublic has been pretty aggressive in expansion recently, as they are also aiming to launch mobile services in Australia and Indonesia by the middle of next year. Would unlimited data plans make a come back? Perhaps would data prices at all telco’s fall back to levels they were previously? I sure hope they do and with more players and operators to disrupt the market, the telco market just got a little more interesting.